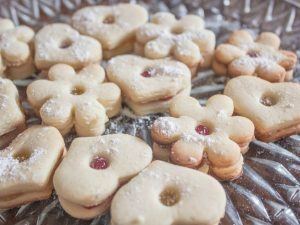 Christmas cookies are a very important element within Christmas recipes. Who does not fancy a cookie before or after the Christmas meal or dinner? 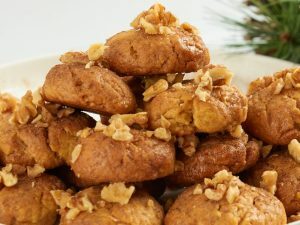 If the holidays are near, do not miss this cookie recipe for Christmas. Besides being nutritious and tasty, they will have fun making them and seeing their original shapes. The cookies in this recipe are made with butter and we also teach you to decorate them to make them very colorful. Enjoy them! Knead butter in a bowl, at least for 20 minutes until creamy. Add the icing sugar and blend until smooth. Add the egg and mix again. Add the flour and mix again until a homogeneous mixture is obtained. The mixture should not stick to the fingers, if it happens you can add a little more flour. On a flat surface, sprinkle a little flour and put the dough. With the dough form a cylinder, wrap it in kitchen film and let it cool in the refrigerator for a couple of hours. 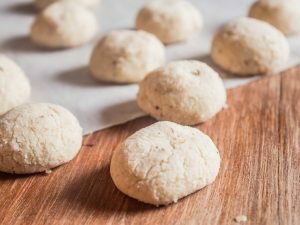 Sprinkle the countertop with a little flour and stretch the dough with a rolling pin. 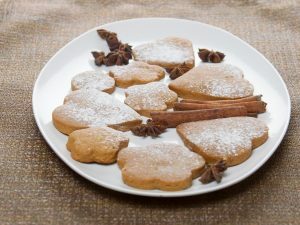 Cut the dough using molds or cutters with Christmas motifs (Trees, stars, boots). For the white glaze mix the egg white with the icing sugar, stir well until it is a homogeneous mass. Put in a pastry bag and decorate the cookies in hot. Separate 6 tablespoons of white glacé; place 2 in a small dish and add 4 drops of green coloring, if you want a more intense color, add two more drops. Repeat this procedure with as many colors as you wish. 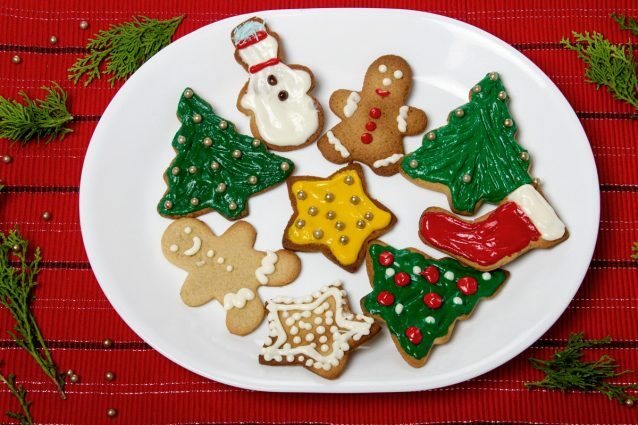 Decorate the cookies to your liking, you can use a pastry bag or a teaspoon. Also the toothpicks are useful to define the edges. You can add other candy colors. Homemade cookies can be a good Christmas gift. 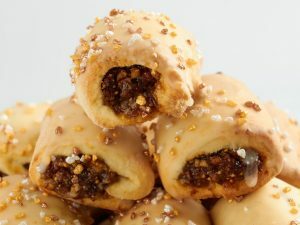 Spitzbuben: The traditional German Christmas cookies! Christmas Cookies: the best edible place cards!